Move Back to Nigeria is a series on BellaNaija which aims to encourage young and not-so-young professionals in the diaspora who are trying to make the decision of whether to move back to Nigeria. In collaboration with the brilliant team at MoveBackToNigeria.com, we hope to bring you regular interviews with individuals who have successfully made the leap, so you can learn from their experiences and make a success of your move back. 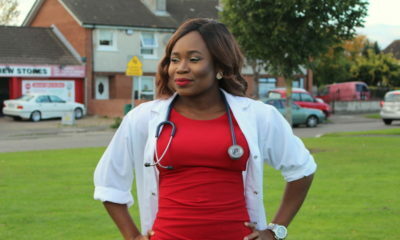 Hello everyone, my name is Dr. May Ikeora. I am an academic researcher and entrepreneur. I moved back to Nigeria from England in June 2016, although I had been going back and forth for about a year. I currently run a skincare business called L’Avyanna Skin Naturals, which I started in 2014. Thank you. Kindly walk us through your educational background. I did my primary school education at Nigerian Premier College in Lagos. I started secondary education at the same school but finished at Queen of the Rosary college in Onitsha. Following this, I gained admission to Nnamdi Azikiwe University, where I studied Psychology for my First Degree. Excellent. What came next for you after Nnamdi Azikiwe University? While at University, I was involved with different youth groups and contested in the Most Beautiful girl in Nigeria Pageant, where I was first runner up. This gave me the opportunity to contest in the Miss West Africa Pageant representing Nigeria in Cape Verde, which I won in 2003. Winning the West Africa Pageant opened a few doors for me, and ECOWAS made me a young ambassador for peace, promoting peace and women related issues. The work with ECOWAS took me to several West African countries such as Liberia, Guinea Bissau, Benin, amongst others. It was a great experience, and I got to make an impact on promoting peace amongst young people in West Africa. My ECOWAS ambassadorship and experience in pageantry gave me the insights and connections that led me to the University of Bradford, where I travelled to for my Masters Degree in Peace Studies and Conflict Resolution. How was studying in Bradford for you? It was great. It wasn’t my first time in the UK, but I hadn’t been to Bradford previously. Bradford isn’t like London; I found it to be a strange place initially but I got used to it and loved it. Fellow students were diverse and from different countries, so in that sense, it was very interesting. The course at the University was new at the time, but it was also intense. I did an internship at the Bradford council, which also allowed me settle in and make new friends. The Masters Degree was for a year, and I graduated in 2007. Following this I moved back to London to work with a Women’s Rights organisation, which was in line with what I was doing before I came to the UK. I then moved on to a couple of other jobs with other organisations for a few more years and got to live in and travel to Manchester, Liverpool, Bradford and other cities in England working with Black and Asian Minority Ethnics (BAME) groups, as well as practitioners within government institutions. Nice! So is that when you started thinking about moving back? No. First of all, I had to complete my PhD at the University of Hull, which I got on scholarship after a number of interviews. The PhD was in Law, and my thesis was in international cooperation and anti-human trafficking between Nigeria and the UK. The PhD was for about three years, and I graduated in 2014. It was a good experience, but a bit of a roller-coaster. While it wasn’t easy, it disciplined me in a way that will be valuable for the rest of my life. After my PHD, I worked as a consultant, and did a bit of teaching. I have consulted for the likes of the Kofi Annan Peacekeeping Training Centre, on some United Nations and European Union projects; the African Union, Law firms and other international organisations. Although consulting can be hectic, it allowed me the flexibility that a 9-5 job wouldn’t so I thought I would pursue one of my business passions in skincare. This led to the start of my business in the UK called L’Avyanna, a natural skincare company that produces skincare products for men and women. We provide our customers with products that have ingredients that provide nutrients to the skin e.g. Vitamin C skin care products for women, beard oil, scrubs and aftershave for men and so on. We started in the UK, and the plan was always to bring it back to Nigeria, and this is when I decided to move back. Was there a specific moment you knew you it was time to move back? I knew I was going to move back way back in 2010. But as I’d been away for a while, I knew I had to be realistic about what was possible. I grew up in Nigeria and knew it won’t be easy, but I figured that if I at least knew my way around, things could be made a bit easier. I started doing a lot more travel back and forth to Nigeria, reconnecting with friends, family, colleagues and familiarising myself with happenings on the ground. Nigeria is a fast evolving country, and things are not the same as they were 10 years ago, so one must continually stay up to speed with what is going on in the country before making the move back. Now that you’re on the ground, how have you found things from a day to day perspective? It’s not been easy, although I won’t say that I have been shocked by some of the experiences. I would say that people have found a way to deal with issues in Nigeria. People have become innovative – most households have inverters and generators, and so people are adapting to the infrastructural challenges and finding ways to make the best of the situation. The things we take for granted in the UK are expensive here. You spend more money, and you get frustrated with many things, but the consolation is that you are at home, and that’s priceless. How easy was it finding a place to live in Lagos? I hired a few agents who helped me with the search. Some of the practices take a bit of getting used to. For some reason the estate agents took me to places that were above the budget I stipulated, hoping I would change my mind, which was a bit annoying (laughs). In the end I had a nice agent who helped me find the place I finally got. Some of the issues I had with apartments here were: they tend to be quite expensive, and the quality of the finishing is definitely below average. When you complain about this, people say ‘welcome to Nigeria’, so this is a general problem as it would appear people are not very particular about the nitty gritty of things like this i.e. quality finishing. You just take what you are given and do the finishing work yourself. In terms of the rent payment schedule, be prepared to pay rent for up to a year or two in advance. Then there are other fees like agency fees (10%), legal fees (10%) and extras like service charge (for electricity, water, security and so on). So if you set yourself a budget of N3million for rent, by the time you add all the numbers up, you could be paying closer to N4million per annum. Not everyone has that kind of money to throw around. 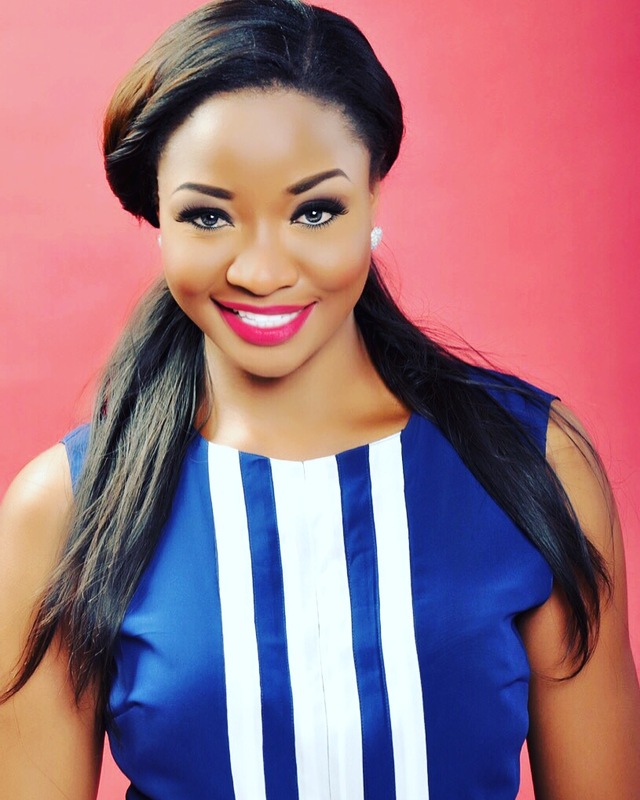 As an entrepreneur, what is it like doing business in Nigeria? It’s certainly different here, and harder. There is a market here but it’s harder because simple things are difficult to get done. Sometimes you don’t have the right people to get things done, probably because many people are not used to doing things the right way. Having said this though, with the right contacts, you can make things happen a bit quicker and better for you. There are different groups you have to be a part of to help you get up to speed on the ground here. WinBiz is a good one to start with. Some churches are good at organising leadership forums that help with building your network. But it’s tougher here and dealing with bureaucracy is not easy. Banks don’t help much either, the interest rates are quite high and not what you would have been used to living abroad. 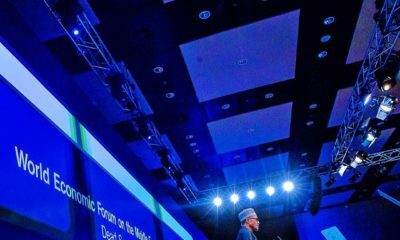 Having said this, there are some opportunities, so for example, Bank of Industry has schemes that help entrepreneurs; you have the Tony Elumelu Foundation, you have She Leads Africa; these are organisations that are more supportive of entrepreneurs than your typical government institution. However, to summarise, do not underestimate the challenges and difficulties associated with doing business here. From a social standpoint, where are the places to hangout in Lagos? Lagos is a vibrant city with lots of things to do. There are nice bars and restaurants to hangout. The Hard Rock Café in Oniru is really nice. In my opinion, It’s better to visit it in the afternoon, rather than at night, because you tend to see the beauty of the place and understand the vibe a bit more. They have great cocktails too. There are a lot of other lounges too, such as Sailors, Spice Route, RSVP, SIP, 57, soul lounge, crossroads, Bottles, etc. The sporting community is also growing. For those like me who love tennis, there is a tennis club (The Arena) in Lekki Phase 1. On a final note, what advice would you give to Nigerians in diaspora thinking about moving back? Despite the issues in Nigeria, there are opportunities for all of us. For those abroad who have learned new skills and obtained various degrees, bringing these back with you to Nigeria can be rewarding. I would say don’t look at the difficulties in Nigeria, as those are for us to solve. We need all the human capital and brains for the development of our country. There isn’t a better time to move back to Nigeria than when the country needs you the most; a time like now with the poor economy. When you move back, have a sense of humour and embrace whatever challenges life throws at you. Moving back to Nigeria scares the daylight out of me presently. For now, I will just stick to planning on visiting frequently and gain better knowledge of what the economic situation is like at the moment. Hi Sonia, where are you based? you should can get loads of move back advice from the MBTN team. Congratulations on her business ventures but this is not moving back. You can do a feature about her success story but she shouldn’t be regarded as moving back. All her education was observed in Nigeria, she only did her masters abroad. That is not moving back BN. Moving back should be for people that have spent a significant amount of time abroad, especially if they left Nigeria at a young age. I wouldn’t even consider myself as a “moving back” even though I’ve been abroad for the last 10 years. BN if you like don’t post my comment, you know I’m telling the truth. Oa!!! she also did a phd in U Hull . In total she was away for a decade with qualifies as moving back. I agree with you o. Moving back is people like me who have spent more than half of my life in the US (I’m in my 40’s). I’m planning to move back but it scares the hell out of me. I’m thinking the best way to do it is to get an expatriate job which softens the landing since I no get any rich family to provide support for me, my husband and kids. @ Me, that your definition of “moving back” differs from that of the author or the admins of this blog does not equate “the truth”. The truth, is an unarguable fact or conclusion and NOT mine or your perspective on a topic. BN is allowed to consider even someone that was away a year a “Move back”. All it takes according the English language is that you make a move away from one place and then you return. As long as there is movement back or forth, it is still considered a move. That you choose not to consider leaving outside the country for a decade a move is not the truth but a personal interpretation. We really need to stop throwing our opinions around has facts or truths. Thank you love…i stayed longer than you, i’m lighter or darker than more, more christian or muslim than you…humans always creating divisions so they can be better than the next person. Three months computer course in dubai is a move back, jump into a lake if it irks or threatens your own credibility. and why is your body “peppering” you ??? sigh..
Wow! one of my friends just forwarded this link to me and I read. I’m really impressed with her achievements. May was my classmate back in UNIZIK and she has always had an independent and can do attitude. I recall she always held tutorials for the class. Even though some people ignored her, she never gave up. She had straight A’s- Beauty and Brains. I’m really proud of you May that you went on to get your PHD. Bad belle. She has a PHD what do you have? If you don’t keep your home well, don’t blame someone that helps you look after the content. Get some job my friend. Aww I went to UCSD with her cousin in the States. Beauty and brains must run in the family! Wow! What a fantastic and inspiring article. I wish you all the best!! I recently moved back and its so great to read about someone else’s experience. Its so sad to see that some people are full of so much hatred!! @EmeraldQueen you should be ashamed of yourself, you call yourself a PHD holder, yet you come on here to slander another woman?!! What exactly did you get a PHD in?? Life is all about love, and we are all put on this earth to lend a helping hand to one another…You should be her praising her for her success and not trying to destroy her reputation. I really hope you grow up, because its people like you that make moving back to Nigeria difficult….don’t be jealous just love! Kudos to you May Ikeora. You are a true example of success made by determination and constant zeal to [email protected] EmeraldQueen . You sound so bitter and low. What have u done with your PhD aside from hating and wasting your time on social media? You are low life and not classy at all. Shame on you low life gal. I think i agree with Sonia, Moving back series should primarily be for people who have lived abroad for over 10 years and not for those who just left to do their masters. The truth is that they don’t have a choice but to go back as their student visa could only permit them to stay abroad immediately after the completion of their program. So frankly, they are not in the right position to be interviewed on why they decided to move back as the answer is very obvious to majority of us who understands the Law. Please Bella Naija post this as i feel it’s very important for people to know certain things most especially the UK law for international students. Most international students come into the UK with the intention of studying and securing a Job prior to the expiration of their Visa, with this, the company can sponsor them to get a 2 year work permit but in most cases this never happens and if it does happen the company must be willing to pay over £26k a year for a starting salary before the Home office can issue them a work permit. Bare in mind no employer will offer a fresh graduate this much unless its an Oil company or an investment bank based in London. As a result of this employers tend not to even call international student for interviews as its such hard work getting their paperwork sorted to approve their stay. Most international student who are desperate to stay after being rejected for job offers apply for PHD which they are most likely to get because home student or British are not interested in PHD but prefers to get into the real world to make some money. Most professors prefer international students for PHD as they can use them for free labour research (well not in most case) so with PHD approved they have bought themselves time to stay. Mind you after PHD you are expected to leave as you are still considered an international student with a limited period of stay. So my point here is that going back for them is not by choice it is a most. The question they should be asked if featured in this series could be ‘how was it adapting to the UK culture’ or ‘what knowledge and ideas have you brought back with you’ better still ‘what advice will you give to those planning to travel to the UK’. 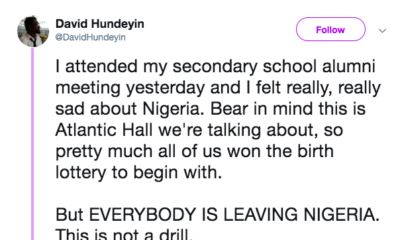 I personally wouldn’t take coming back to Nigeria advice from some who has just been in the UK for less that 10 year or someone who just came to the UK briefly for a masters and PHD as i believe it is still easier for them for adapt going back to Nigeria as oppose to someone who have been in the UK for over ten years or a British born. Have been in the UK for 18 years and planning on moving back next year so it is very important for me to read interviews from people who have spent over 10 years of their lives outside UK as i feel i might relate more to their experience or shock when i eventually move back. That been said, lovely interview and good luck with future development. PS: Nigerians need to start knowing the truth about life as a student in the UK, UK law for students, work permits for students, and the frustration of unemployment which really makes even the UK citizens and home students think of going back home or seeking opportunities elsewhere. There are loads of graduates with PHD working as cleaners in the UK, you will be surprise to know how ppl struggle here but are ashamed to share their experience. I agree with you. However, I don’t nexessarily think they should be X’d out completely but maybe they should have a separate category? i.e. “International students who have returned”. This is a good article but I also tend to be more interested in those who have lived abroad most of their lives as I am looking to move back next year as well. I read everything that can help me as there is not a great wealth of information (so MBTN has really helped in that aspect) and the economy scares me to sh*t. I just wish there were more interviews from people who have not stayed in Nigeria most of their lives. But I guess for now I’ll take what I can get lol. I totally agree with miss contagious. The interviewees for this series should be mainly for Nigerians who have lived half of their lives abroad. Moving back is not an easy choice to make especially if you don’t have much friends and nuclear families in Nigeria or not financially boxed up. I have been in the UK for 15 years also and would like to read more interviews from people who i can relate with their experience. I have been to Nigeria few times on holidays and i know it’s nothing compared to moving back finally. I also agree with the fact that international students don’t have a choice but to go home if they don’t have a work permit which is mostly granted if they find a job before their visa expires. @misscontagious you might be right on some level about the struggles in the UK but you also have to realise that people are very different …if only you knew the details of people’s lives e.g people like May Ikeora and co…. “Winners focus on winning and losers focus on the winners”. Kudos to MBTN team and all the best wishes to the courageous ones who have made the move. @50 my comment was strictly based on reasons why most people move which is very obvious to people who fully understand the UK law. Just cos people decide to stay or leave doesn’t make them a winner or loser. There is opportunity in every part of the world, So where you choose to stay doesn’t matter, all that matters is your ability to make things work for you. So all i was stating is that most people have no choice but to leave the country so as not to become illegal and stranded abroad. I have no idea where the *winner and Loser* remarks came in. Good luck to everyone wherever they choose to go, your ability, passion and happiness is all that counts.